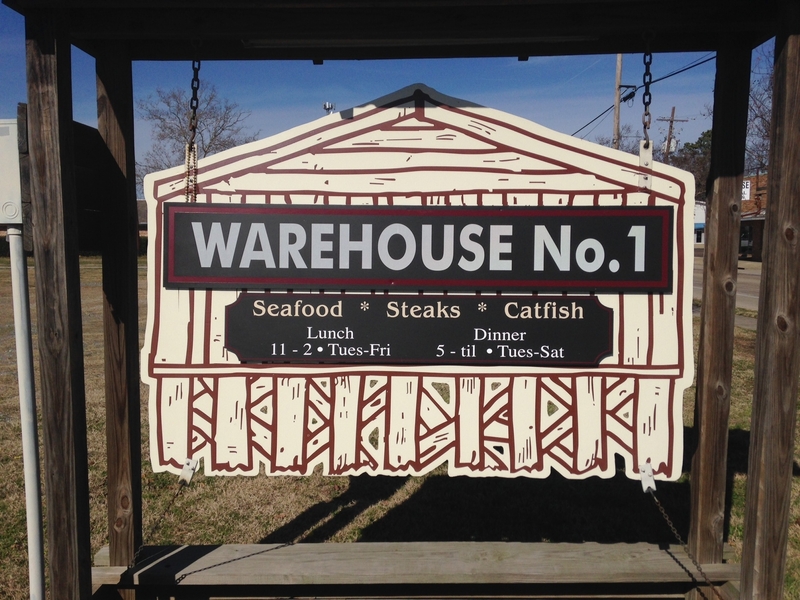 Known for great food and beautiful views, the Warehouse No. 1 Restaurant has long been a local favorite for a casual lunch with friends or the place to go for a special evening out. Located on the Ouachita River, the Warehouse was formerly, you guessed it, a warehouse. During the steamboat days, it housed large bales of cotton. 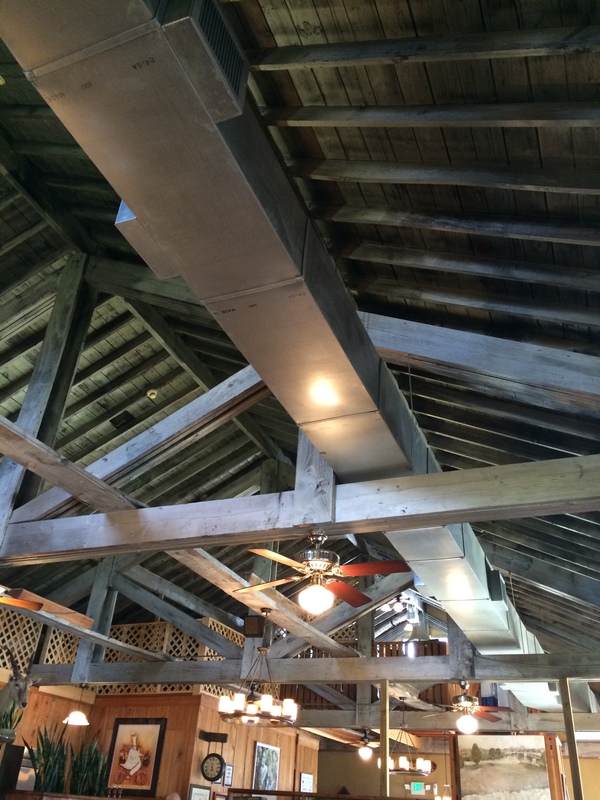 The original architecture is still in tact, and the rustic look is a nice contrast to the gourmet delights served daily. Ruth, Sheila, and I met for lunch on a chilly Thursday afternoon. 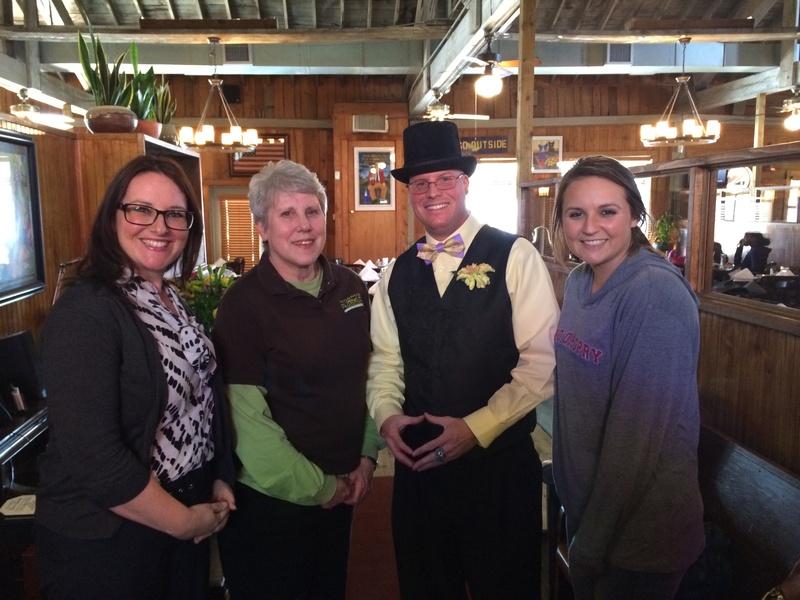 We were greeted by Michael, the best dressed host you will ever meet, with the warm, Southern hospitality Monroe-West Monroe is known for. Ruth and I started our meal with Caesar salads, while Sheila chowed down on the complimentary hush puppies. 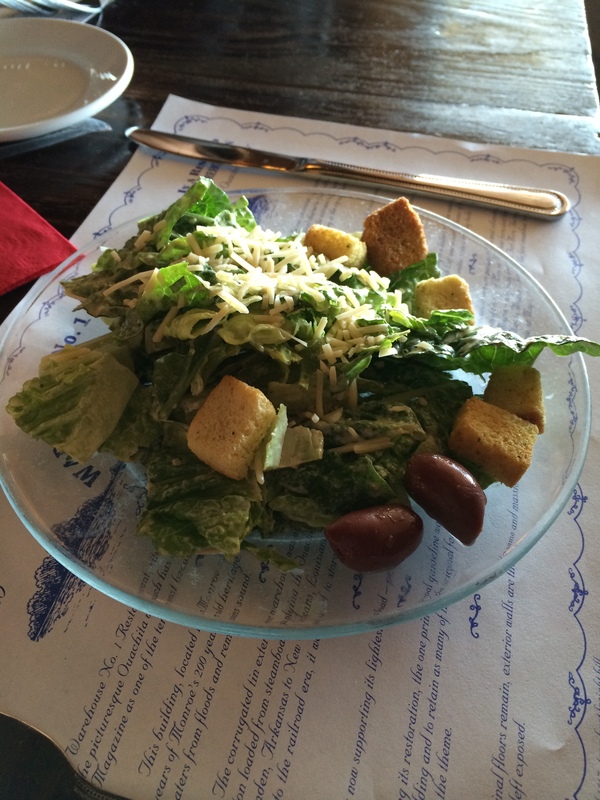 The salads were dressed with the perfect amount of Casear, sprinkled with parmesan cheese, and topped with crunchy croutons. The hushpuppies had just enough bite with a touch of jalapeno. Our entrees arrived just in time. 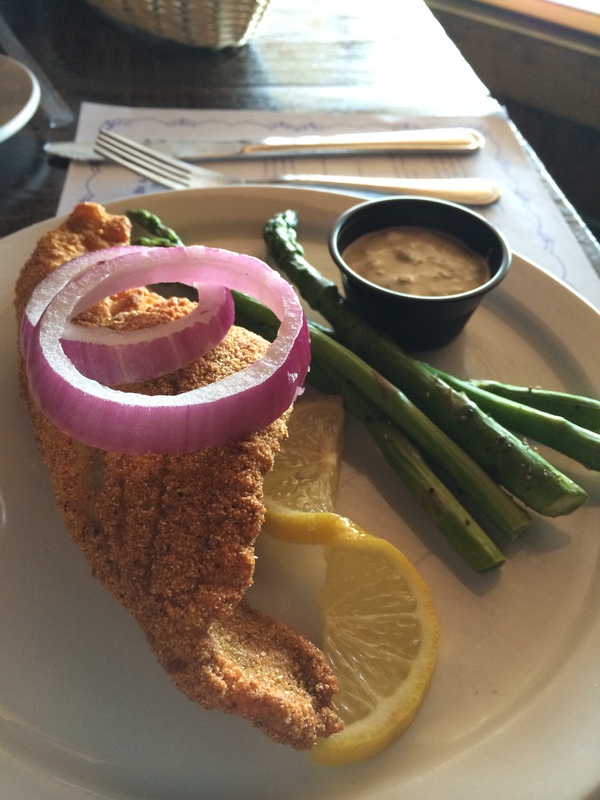 Ruth had the crispy fried catfish filet with steamed asparagus. The filet was just the right size, and the asparagus was the perfect compliment. Sheila ordered the ribeye po’boy with fries. It was quite a sandwich. The ribeye was tender and juicy. 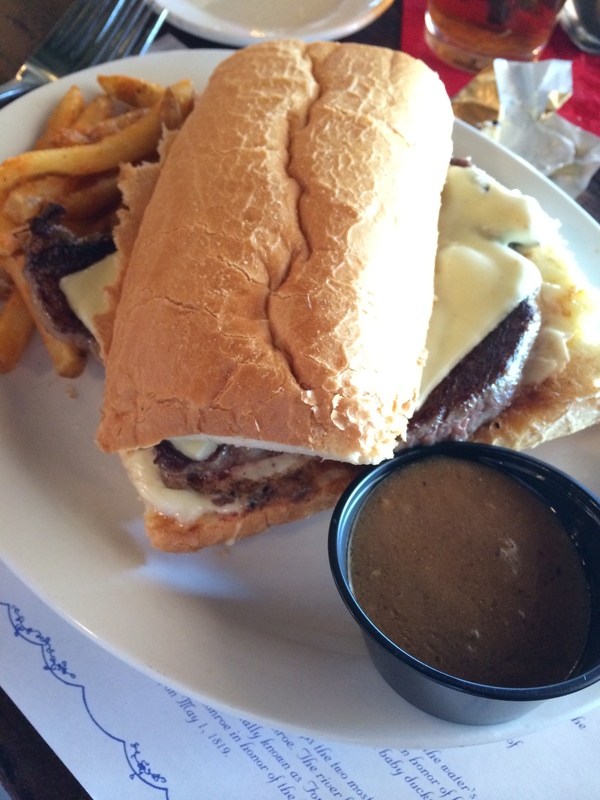 It came with an onion gravy on the side, just the right compliment to the po’boy. 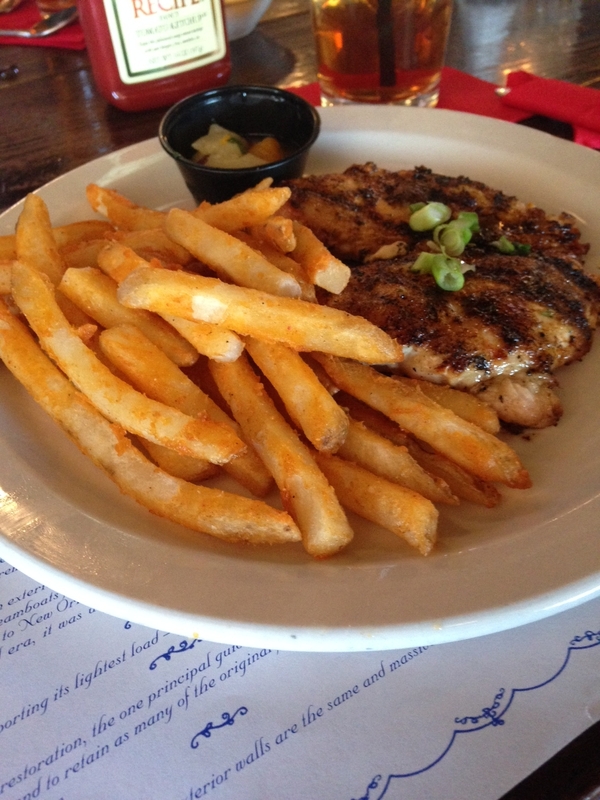 I had the grilled chicken with Southwestern spiced fruit and vegetable salsa and a side of fries. The seasoning on the chicken combined with the tangy fruit salsa left my tastebuds wanting more. No girls lunch is complete without dessert. At the suggestion of our server, Sheila chose the Key Lime Pie. Ruth went with the cheesecake, and I chose the classic brownie with ice cream. The presentation of each was almost as sweet as the desserts themselves. The Key Lime Pie was just the right mix of spicy citrus and sweet, neither flavor overpowering the other. The cheesecake was warm and creamy, but not too heavy. The brownie melted in my mouth and had just the right balance of a crunchy top with a soft, warm center. The Warehouse No. 1 Restaurant is open Tuesday-Thursday from 11 am to 2 pm and 5 pm to 9 pm, Friday from 11 am to 2 pm and 5 pm to 9:30 pm, and Saturday from 5 to 9:30 pm. They are closed on Sunday and Monday. Be sure to check out their daily specials, soup of the day, and fully stocked bar. Or order from the menu. Either way, you’ll have a great meal. 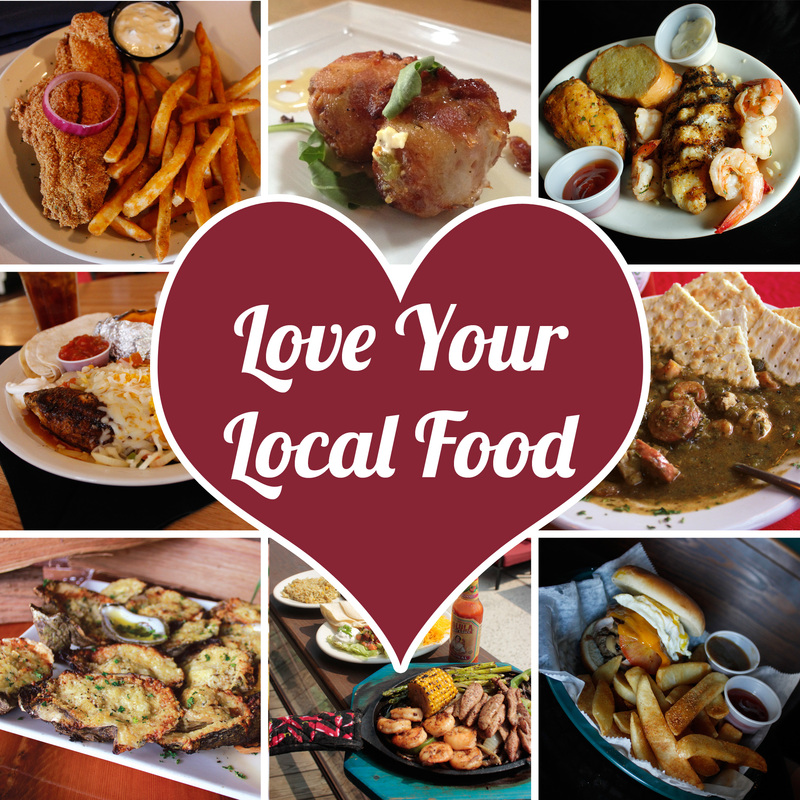 February is often called the “Month of Love.” Well, here in Monroe-West Monroe, the staff of the Monroe-West Monroe Convention & Visitors Bureau wants you to know how much we “Love our Local Food.” So we are going to blog about it….all month long. That’s right. We are kicking off our new blog with a month of posts about local restaurants that fill our bellies and satisfy our taste buds. We’ll pull up a seat at local diners, fine dining restaurants by the water, and catfish houses….and we are taking you with us. Monroe-West Monroe is home to quite an eclectic culinary scene, with menu options like smothered pork chops, roast beef po’boys with gravy, Catfish DeSiard, fried chicken, crawfish (cooked in every way imaginable), fried catfish-regular or thin & crispy, mouthwatering burgers, steaks grilled to perfection, cheese grits (it’s the South…we have to have our grits), banana caramel pudding or pie, bread pudding, and more. Are you hungry yet? Join us as we celebrate the month of February and show you just how much we “Love our Local Food”!